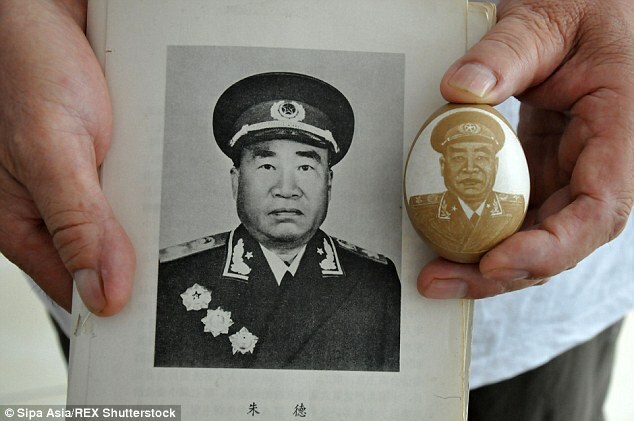 Yunnan born Zhao Zexi is the artist behind the egg carvings. 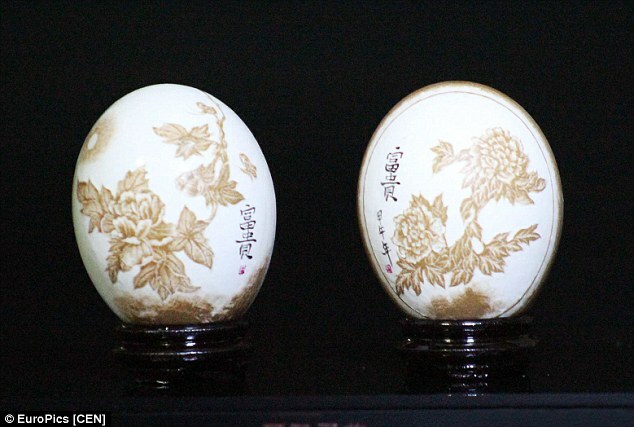 The 27 year old revealed in an interview that he’s been carving egg shells for around 10 years and has worked with everything from hen’s eggs to duck and ostrich eggs. Initially he found that every egg shell he tried to carve collapsed as soon as the blade touched its surface. But with hard work, determination and a little help from other egg carving artists, he soon progressed from carving words to landscapes to human portraits. The work is extremely time consuming. Carvings on hen’s eggs require one or two days to complete while goose and ostrich eggs need 10 to 15 days. 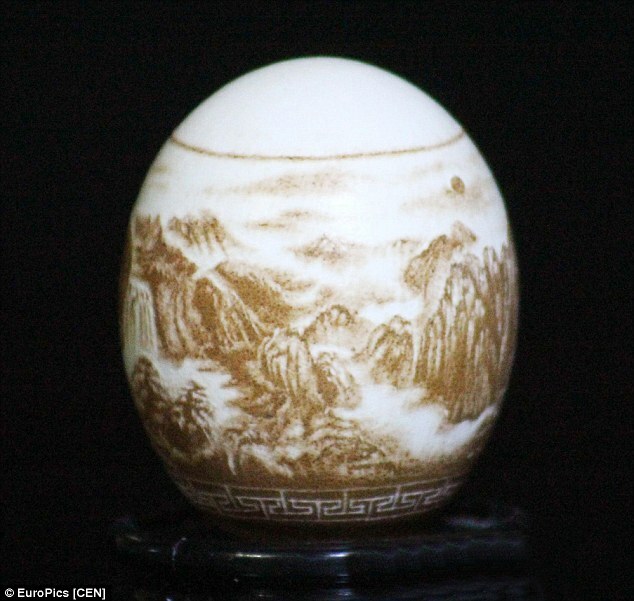 However, he is able to charge 500 Yuan (£50) for a finished hen’s egg and around 6,000 Yuan (£600) for an ostrich egg. 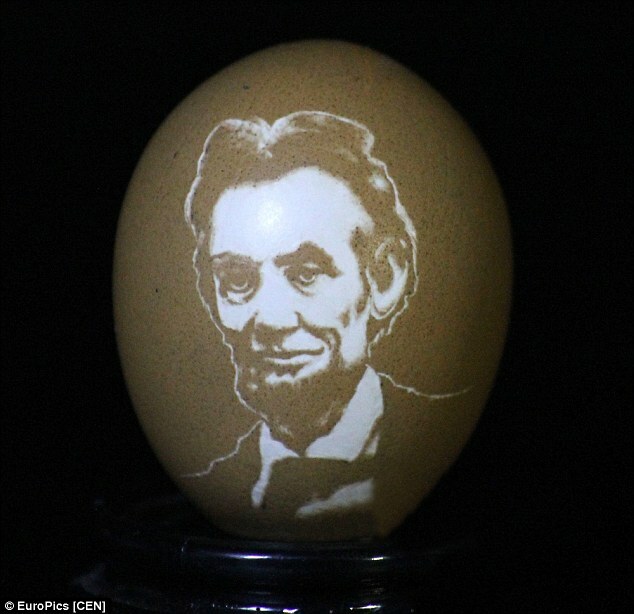 Last year, he quit his job as a chef to concentrate on egg carving. 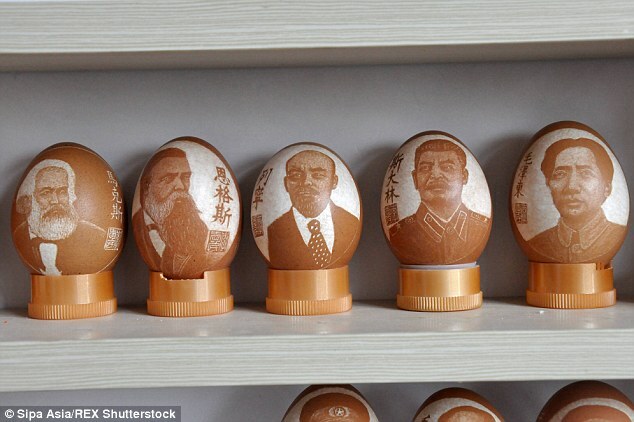 Zhao Zexi is not the only egg shell artist to emerge recently. A 29 year old woman in Jiangsu, eastern China, named as Han Liping shared her work in January this year. Han normally works at a fast food restaurant but started egg carving as a hobby. She empties the eggs of their content before starting work but says that every stage of the carving throws up challenges. The shells breaking is the most obvious concern but if she makes any mistakes, she will have to start over again as there is no way to repair the damage. . . . .